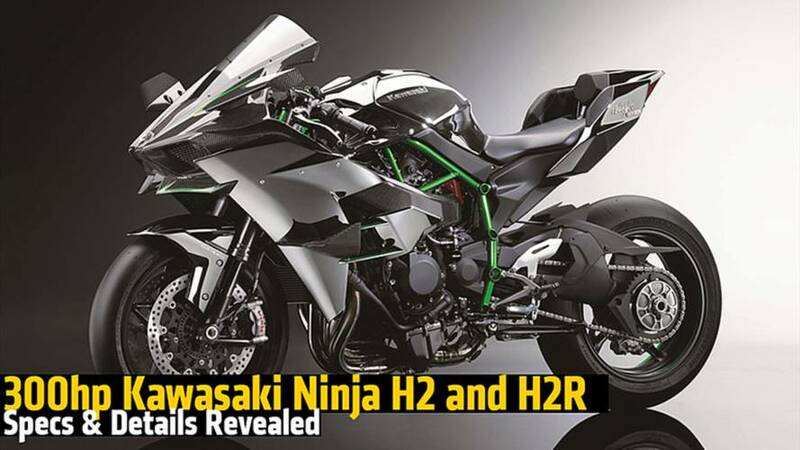 The official announcement of the 2015 Kawasaki Ninja H2 and H2R from the Intermot 2014 show in Germany. It makes an earth-moving 300hp. It's finally here, the announcement of the 2015 Kawasaki Ninja H2R and it's big: producing an earth-moving 300hp, the Ninja H2R is the most powerful motorcycle ever produced. 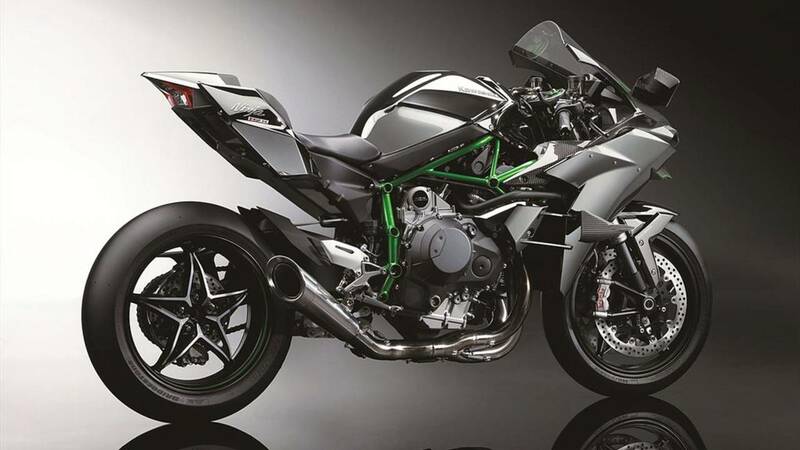 Built as a race-only bike, the H2R is said to produce a whooping 300hp max--straight off the showroom floor--with a supercharged 998cc, inline-4 cylinder. No signals or mirrors and full-slicks, 120/600 R17 up front and 190/650 R17 in the back, the H2R is only designed for the race track. Does that mean no VIN? 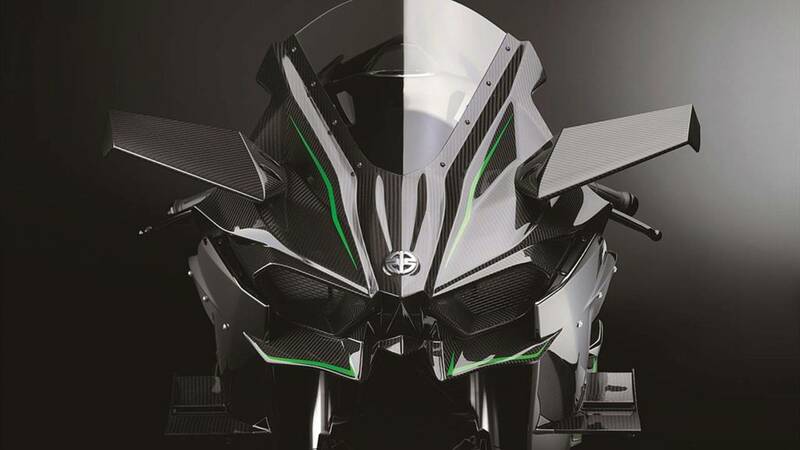 We don't know yet, as Kawasaki has only unveiled so much information and not said anything about the H2, which will be released at the EICMA show. We didn't think we'd see a 300hp motorcycle, but the H2 is living up to its hype. This power number makes the Ninja H2R the highest-horespower motorcycle ever manufactured, beating out Kawasaki's own ZX-14R. 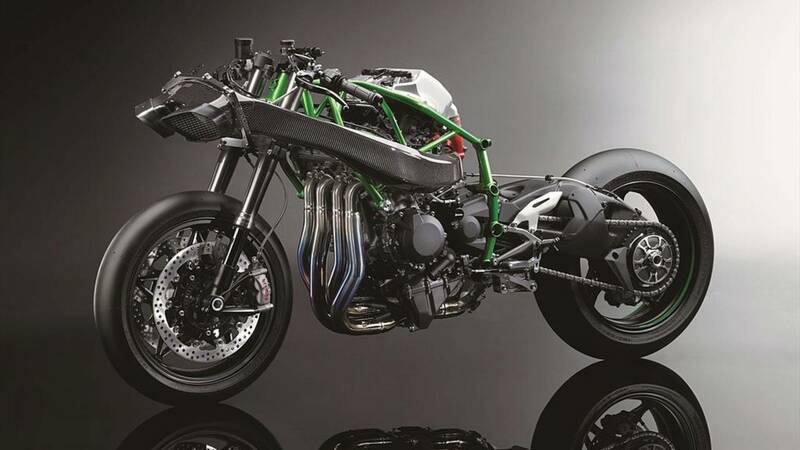 We aren't sure of the power output of the H2 street-version yet or if it'll feature the full carbon fiber body, but we'd bet those power numbers will also beat out the ZX-14R. It's rare to see hp figures from manufacturers and when they do share them, they're often sand-bagging. We'd imagine if the street version doesn't make 300hp, it'll do it with minor tuning. Just like the PR speak from the teasers, Kawasaki used multiple divisions inside the Kawasaki Heavy Industries, Ltd. (KHI) to produce the bike, which is why the Kawasaki River Mark is proudly displayed on the front. 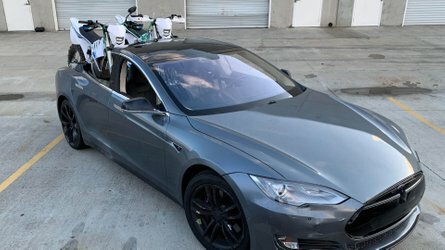 The all-new supercharger was built and designed in house with help from Kawasaki's Gas Turbine & Machinery Company, Aerospace Company and Corporate Technology Division. 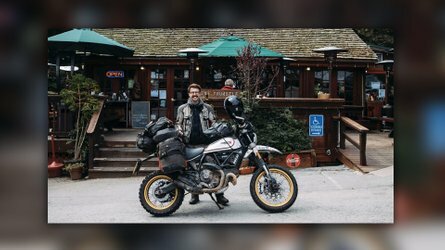 This bike is meant to show off the capability of such a big company like Kawasaki and prove to the general public what their R&D and production is capable of. As for the chassis, that's an engineering feet unto itself. 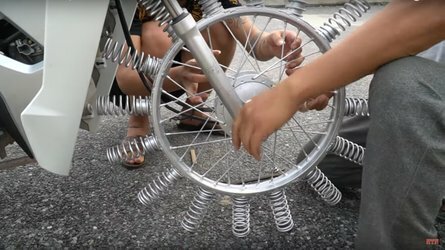 The bike is designed for high-speed riding, but according to Kawasaki they also wanted it to handle. They sacrificed a long wheelbase for handling purposes, as a longer wheelbase would normally help with high-speed stability. Instead they focused heavily on the aerodynamics to make up the difference. An all-new stiff trellis frame, “provided both the strength to harness the incredible power of the supercharged engine, and balanced flex to help stability for high-speed competition riding.” It takes a lot to keep a 300hp engine in place while maintaining rigidity, but it sounds like this chassis will do the job. Kawasaki says that the carbon-fiber upper and lower winglets and aero work are a part of the "Intense-Force Design" along with the air ducting that feeds the supercharger. Designed with help from Kawasaki’s Aerospace Company, the winglets increased stability in the ultra-high speed range and were critical to the motorcycle’s overall design. Finishing out the details, the tank is a black chrome and the trellis frame is in Kawa green, naturally. 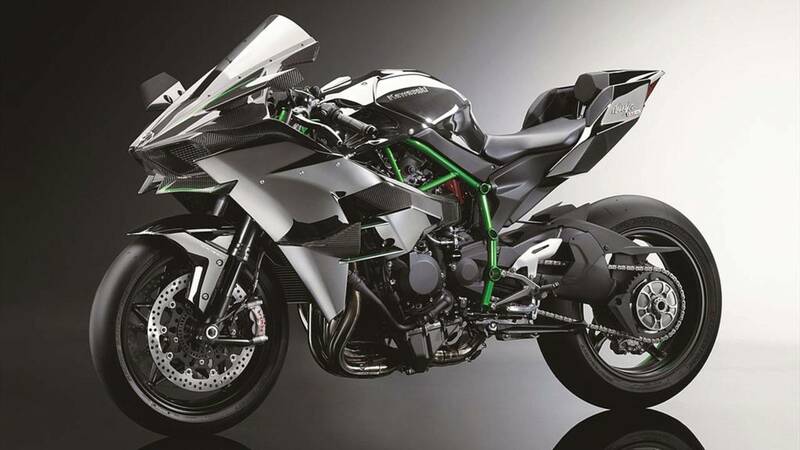 Kawasaki set out to build the fastest accelerating bike in the world and therefore produced the most powerful. “The kind of acceleration no rider has experienced before” is Kawasaki's tag line for the H2.